Too many chocolates, too little time. Lucy and Ethel aim to prove to their husbands that they can make a living in JOB SWITCHING. Photo courtesy CBS. 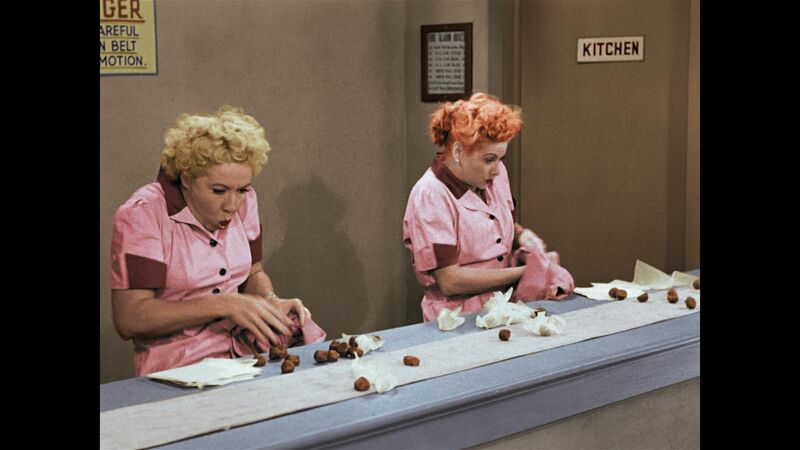 Even if you’ve never worked on an assembly line, you’ll empathize with Lucy Ricardo and Ethel Mertz, as the two frazzled pals tackle the line in the Job Switching (aka Chocolate Factory) episode of the beloved 1950s’ I Love Lucy CBS-TV series. This classic episode, now colorized, is paired with the similarly colorized I Love Lucy Christmas Episode, and is set to air on CBS tonight, Sunday, December 7 (8:00-9:00 p.m., ET/PT), as part of its annual I Love Lucy Christmas Special. As an added bonus this year, the I Love Lucy Christmas Special not only piggybacks as holiday fare these two entertaining episodes from the landmark I Love Lucy CBS-TV series, but also includes original, never-before-broadcast footage from Lucille Ball and Desi Arnaz’s costume and make-up tests filmed days before the first episode of the series went into production in 1951. 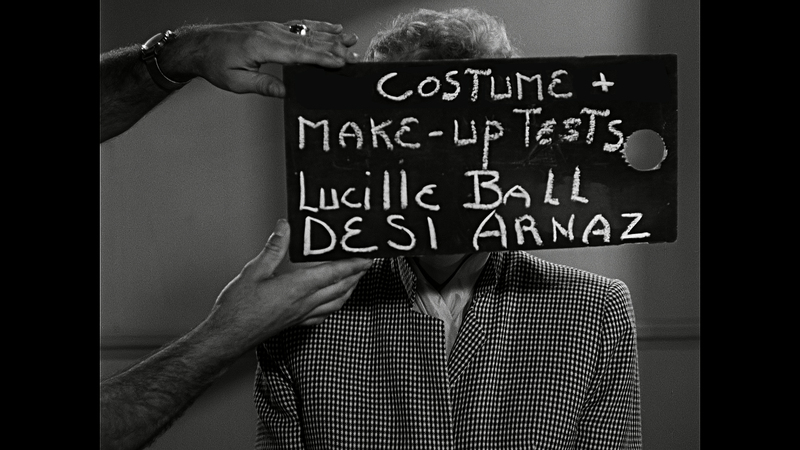 Rare footage of Lucille Ball and Desi Arnaz’s 1951 costume and make-up tests is featured in the I LOVE LUCY CHRISTMAS SPECIAL, circa 2014. Photo courtesy CBS. 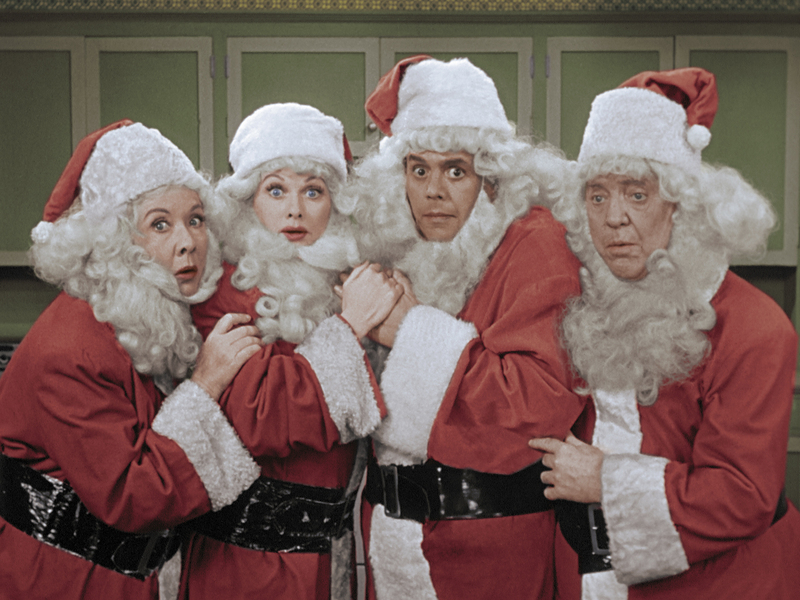 As I discussed more extensively in my review of last year’s CBS-TV I Love Lucy Christmas Special https://judithtrojan.com/2013/12/20 I’ve never been a fan of colorization. 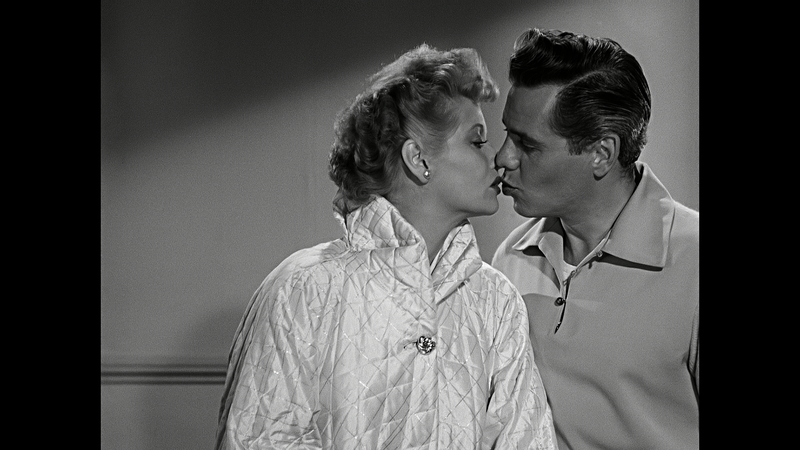 But the sensible use of color in this case injects a pleasing, modern-day quality to I Love Lucy‘s original black and white episodes without sacrificing the vintage framing music, titles and commercial breaks. I highly recommend that even the most stubborn foes of colorization continue to give the I Love Lucy Christmas Special a chance, especially since this year it not only reprises the rarely seen 1956 Christmas Episode but debuts the memorably zany 1952 Job Switching (Chocolate Factory) challenge. The more the merrier on Christmas Eve in the Ricardo household. Photo courtesy CBS. Originally aired on CBS in December 1956 and thought to be “lost,” The Christmas Episode is a nostalgic Christmas eve visit to the Ricardos’ Manhattan apartment where Lucy and Ricky trim their tree and prep gifts to surprise Little Ricky, their Santa-obsessed five-year-old. Fred and Ethel join the fun as Lucy and Ricky wistfully recall Lucy’s unexpected pregnancy announcement at Ricky’s club and Ricky, Fred and Ethel’s subsequent foiled effort, months later, to get Lucy to the delivery room on time. Original black and white flashbacks are intercut from these classic episodes. The latter, still hilarious after all these years, continues to serve as the classic benchmark for all the memorable, if derivative, sit-com “birthing” episodes that followed. Finally, in a musical interlude, Lucy’s attempt to sing “Jingle Bells” reminds Ricky and the Mertzes of the time tone-deaf Lucy crashed their barbershop quartet with disastrous results. A flashback of their sabotaged performance in original black and white is included. In Job Switching (also known as the Chocolate Factory episode), Lucy raises Ricky’s hackles when she overdraws her checkbook. In one of her most uproarious efforts to prove to Ricky that she can make a living, Lucy drags Ethel to an employment agency where they nab a gig at a chocolate factory. After several failed attempts to master their assignments, they land on the assembly line where they’re faced with a boss and conveyor belt from Hell. Meanwhile, as Lucy and Ethel corral the chocolates, their husbands, Ricky and Fred, take a stab at the housework. Their disastrous cracks at vacuuming, ironing, baking a cake and preparing a dinner of chicken and rice are similarly side-splitting. While you may never have the seen Job Switching episode in color, you’ll surely remember this fan favorite in its original black and white. It should come as no surprise to learn that Lucy and Ethel’s futile effort to keep up with that speedy chocolate factory conveyor belt was selected in 2013 by the Paley Center for Media (in their “TV’s Funniest of the Funniest” poll) as the funniest TV moment of all time. The Job Switching (aka Chocolate Factory) episode originally aired on CBS on September 15, 1952. Now, 62 years later, Lucy’s hair is red, her crisp factory uniform is pink, the chocolates are brown and the Ricardos’ kitchen is a mid-century modern riot of color; and Lucy, Ethel, Ricky and Fred will still make you laugh out loud. This entry was posted in TV and tagged Chocolate Factory, Classic TV Comedies, Colorization, Desi Arnaz, Fred and Ethel Mertz, I Love Lucy, I Love Lucy Christmas Special, Job Switching, Lucy and Ricky Ricardo, Lucy's Christmas Episode. Bookmark the permalink.